Bells on Temple Square Holiday Concert on November 18-19! The Bells on Temple Square will open the holiday season with its concert, “Ring Praises,” its annual concert on Friday and Saturday, November 18-19, 2016 at 7:30 p.m. in the Salt Lake Tabernacle. FamilySearch, a non-profit family history organization, has announced that a special concert by the Mormon Tabernacle Choir and Orchestra at Temple Square will be the opening event at RootsTech 2017, the annual global genealogy conference This unique performance entitled “Music–It Runs in the Family" will be held Thursday, February 9, 2017, at 8:00 p.m. in the Conference Center on historic Temple Square. RootsTech attendees will receive tickets with their registration, but the public is also invited. Free tickets for this one-night-only performance are required and are available now at lds.org/events. Join us for the Spring Concert of Bells on Temple Square! The Bells on Temple Square will present “Dancing with Bells,” its annual spring concert on Friday, June 10, 2016, at 7:30 p.m. in the Salt Lake Tabernacle. The Bells on Temple Square will be under the direction of LeAnna Willmore, conductor, and Larry Smith, associate conductor. The Mahler Symphony no. 8 will be performed at two O.C. 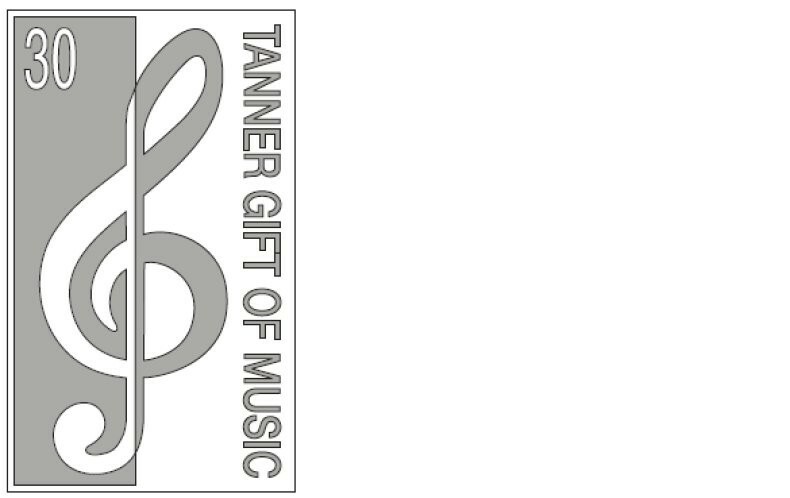 Tanner Gift of Music concerts on Friday and Saturday, February 19 and 20, 2016 at 7:00 p.m. in the Salt Lake Tabernacle. Maestro Thierry Fischer will conduct Utah’s two premiere musical institutions—the Utah Symphony and the Mormon Tabernacle Choir—joined by 50 voices from The Madeleine Choir School and eight renowned soloists: Orla Boylan, soprano; Celena Shafer, soprano; Amy Owens, soprano; Charlotte Hellekant, mezzo-soprano; Tamara Mumford, mezzo-soprano; Barry Banks; tenor, Markus Werba; baritone; and Jordan Bisch; bass. The Speeding Train That Never Stops! Mack Wilberg, music director of the Choir, has often said that the Mormon Tabernacle Choir is like “a speeding train never stopping to let its passengers off.” Indeed, the work of the Choir and the Orchestra rarely takes a breather. On January 1, 2017, when many people will be sleeping in from New Year’s festivities, the Mormon Tabernacle Choir and the Orchestra at Temple Square will be in the Tabernacle bright and early to prepare their first Music and the Spoken Word broadcast of the new year. The Bells on Temple Square will present “An Expedition of Sound” on Friday, May 26, at 7:30 p.m. in the Salt Lake Tabernacle. On Tuesday, June 13, at 7:30 p.m. in the Tabernacle, the Mormon Tabernacle Choir and Orchestra at Temple Square will present a special concert for the American Guild of Organists (AGO) as a signature event for its West Region convention in Salt Lake City. The concert’s first half features a symphony for organ and orchestra by Alexandre Guilmant to be performed by Richard Elliott and the Orchestra at Temple Square. Organists Clay Christiansen and Andrew Unsworth will be featured in the concert’s second half with music by the Choir and Orchestra. (Read the full concert program. )The public is invited to the free concert; no tickets are required. Four Ways to View the Pioneer Day Concert with Alex Boyé! Late Breaking Announcement: Due to unavoidable and unanticipated scheduling conflicts with his current TV series, Christopher Jackson will not be able to appear on the 2017 Pioneer Day concerts. Alex Boyé, singer, entertainer, and mega-million view YouTube artist, will now headline the concert. Click here for more information. This Easter season, the Mormon Tabernacle Choir will celebrate the life and Resurrection of Christ by performing George Frideric Handel’s Messiah. March 1: There are still free tickets available for the Conference Center Theater! See link below. The Mormon Tabernacle Choir and Orchestra at Temple Square invite the public to join them for free weekly public Thursday rehearsals and the Sunday Music and the Spoken Word broadcasts in the Tabernacle on Temple Square. The Bells on Temple Square also offer free Wednesday night public rehearsals. During the summer months and in December the Choir and Orchestra move their rehearsals and performances to the Conference Center to accommodate larger audiences. The work of the Mormon Tabernacle Choir and Orchestra at Temple Square rarely takes a breather—and this year will not be an exception! For one fun-filled week in 2014, the Muppets® from Sesame Street® had a new home—the Conference Center in Salt Lake City, Utah. 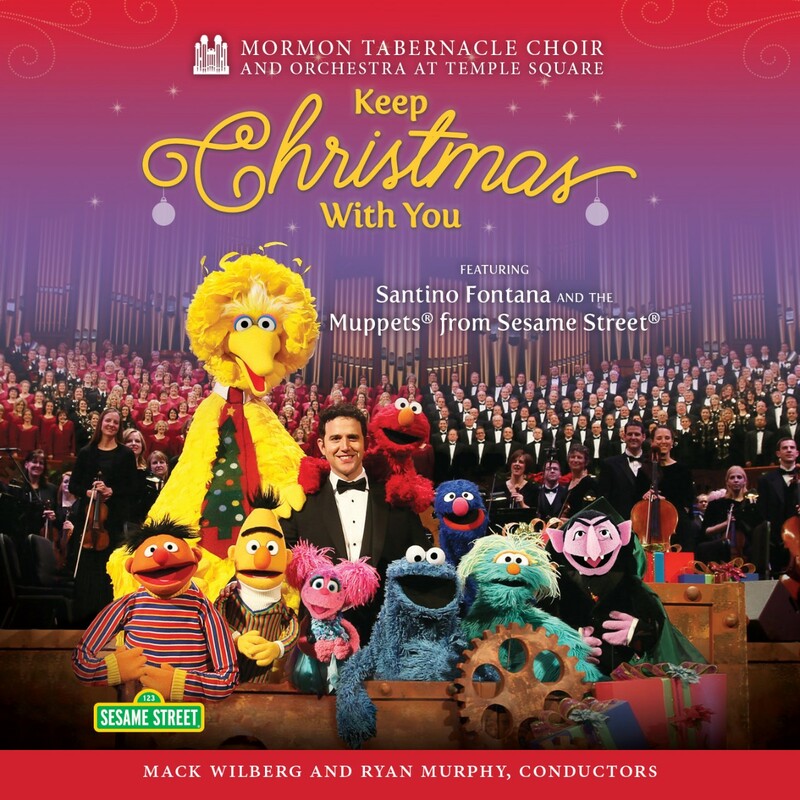 They, along with Santino Fontana, were guest artists for the Mormon Tabernacle Choir’s annual Christmas concerts. Due to unavoidable and unanticipated scheduling conflicts with the filming of his current TV series, Christopher Jackson will be unable to join the Mormon Tabernacle Choir and Orchestra at Temple Square for their annual Pioneer Day concerts on July 14 and 15. Mr. Jackson is sincerely disappointed at this turn of events and is looking forward to another opportunity to appear with the Choir and Orchestra in the future. “Joyfully Ring” says it all. The Bells on Temple Square will be celebrating its 10thanniversary at its concert in the Salt Lake Tabernacle on June 12 at 7:30 pm. The one-evening performance will recognize the formation of the ensemble in 2005 and will include thirteen of the original charter members who are still ringing ten years later. LeAnna Willmore, who has been with the Bells since its beginning—first as associate conductor and then as conductor since 2011—will direct the choir. Larry Smith, associate conductor, will also lead the ensemble. The April 17 and 18 spring concert is what some might call a double-header! The program will feature both the Orchestra at Temple Square and the Temple Square Chorale in an evening of rich classical music. The evening's performances will be led by the baton of Ryan Murphy, associate music director of the Mormon Tabernacle Choir and conductor of the Temple Square Chorale. The American Choral Directors Association—singers, conductors, composers by the thousands—came to Salt Lake City for a three day conference the last week of February and witnessed the induction of the Mormon Tabernacle Choir into the American Classical Music Hall of Fame. They also attended concerts by the Choir, Orchestra at Temple Square, and Bells on Temple Square in the Tabernacle and Conference Center, were given a simulated opportunity to sing with the Choir, and celebrated with guest artists and ACDA honor choirs in the finale of the highly successful conference. Get Tickets for a Special Concert: "From the Treasury of American Song"
In March 1989 the Mormon Tabernacle Choir traveled across the United States to Orlando, Florida, to perform at a magical place called Walt Disney World. The Choir’s performances were recorded by the Disney Network to use in four national television broadcasts. The broadcasts were for an Easter parade, the Children’s Miracle NetworkTelethon, a Fourth of July program, and a broadcast that was part of the Disney Christmas Parade program. It was 150 years ago, in 1864 just as the Salt Lake Tabernacle was being completed, that Mormon pioneers settled in the Sevier valley in central Utah. There they found valleys surrounded by beautiful red rock mountains and snow covered peaks. Richfield, the county seat and largest city in central Utah, was named in recognition of the fertile soil. Even today, farming continues to be a major way of life for many residents. The history and heritage of the people is a cause for a sesquicentennial celebration. As part of the 2014 Deer Valley® Music Festival, the Mormon Tabernacle Choir will perform on August 8th with the Utah Symphony. Mack Wilberg will conduct and the performance will take place at the Snow Park Amphitheater at Deer Valley Resort in Park City, Utah. The Orchestra at Temple Square and the Temple Square Chorale will combine forces for a spring concert March 21-22 at 7:30 p.m. The concert will be directed by Ryan Murphy, Mormon Tabernacle Choir Associate Music Director. The Orchestra is an all-volunteer companion ensemble to the Mormon Tabernacle Choir. The Chorale is made up of singers currently completing the Choir audition process. The Orchestra at Temple Square and the Temple Square Chorale will combine in a spring concert March 21–22 at 7:30 p.m. The concert will be directed by Ryan Murphy, Mormon Tabernacle Choir Associate Music Director. The Orchestra is an all-volunteer companion ensemble to the Mormon Tabernacle Choir. The Chorale is made up of singers currently completing the Choir audition process. Halloween and Thanksgiving are just around the corner. And it is not too early to note these dates for Christmas with the Mormon Tabernacle Choir and Orchestra at Temple Square. Concerts are scheduled December 12 to December 15. The Thursday, December 12 performance is a dress rehearsal, concerts follow on Friday and Saturday and the Sunday morning is a mini concert in conjunction with the weekly Music and the Spoken Word broadcast. Thursday evening the Choir got an up close and personal opportunity with our guest artist, James Taylor as the Utah Symphony was getting ready for rehearsal. More than 30 years ago, two neighbors—Obert C. Tanner, benevolent founder of the O.C. Tanner Company, and his friend Gordon B. Hinckley, beloved past president of The Church of Jesus Christ of Latter-day Saints—conceived an idea to foster unity in the burgeoning community of the Wasatch Front and focus new attention on the arts. James Taylor plus Nathan Pacheco and Lindsey Stirling in Choir Summer Concerts! Hip hop, opera, and pop! The Mormon Tabernacle Choir and Orchestra at Temple Square can do it all, as this summer’s concerts will witness. Joining with up-and-coming LDS artists Lindsey Sterling and Nathan Pacheco at the Pioneer Day Concert Friday and Saturday, July 19 and 20, and with James Taylor and the Utah Symphony for the 30th annual Tanner Gift of Music concert on Friday and Saturday, September 6-7, the Choir will be crossing “generational and cultural boundaries,” says Choir President Ron Jarrett. For those not familiar with Lindsey and Nathan, both are new, bright, shining stars on the music scene. Lindsey, a classically-trained violinist, first came to the public’s attention in 2010 as a quarterfinalist on NBC’s America’s Got Talent for combining the melodic sounds of the violin with the dynamic energy of hip hop—and dancing at the same time. Her YouTube videos have been viewed over 300 million times. Nathan is a versatile opera-to-pop tenor who has toured North America with famed composer Yanni, performed across Britain with Katherine Jenkins (last year’s Pioneer Day concert guest) and the London Symphony orchestra, and performed for Prince Charles. James Taylor, guest artist for the Tanner Gift of Music concert in September, is known and loved by music fans everywhere. His music embodies the art of songwriting in its most personal and universal form. His career spans four decades, with close to 100 million albums sold and five Grammy Awards won. His warm baritone, introspective lyrics, and unique guitar sounds are immediately recognizable. In 2011 he was awarded the National Medal of Arts by President Obama at The White House, and in 2012 James was awarded the distinguished Chevalier of the Order of Arts and Letters by the French government. This concert will mark 30 years since the first Tanner Gift of Music concert in 1983, which was the Verdi Requiem. The series was created by two friends, Obert C. Tanner and Gordon B. Hinckley, to build bridges in the community through a free biennial concert of the Choir and the Utah Symphony. Mack Wilberg will conduct the Choir and Symphony in this anniversary concert. Tickets are available for the Pioneer Concerts—at no cost—at www.lds.org/events or by calling 801-570-0080. Check back later in the summer for James Taylor/Tanner Gift of Music tickets.